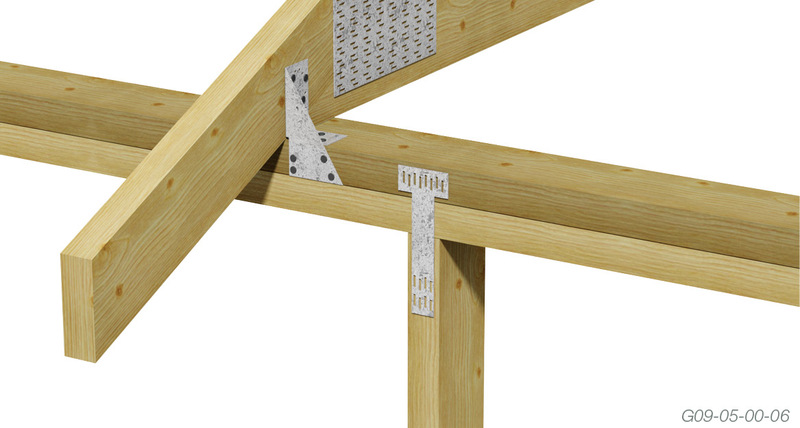 Provide a fixing that does not protrude from the frame to the same extent as traditional metal straps. Provide a flatter surface for installing wall plasterboard. 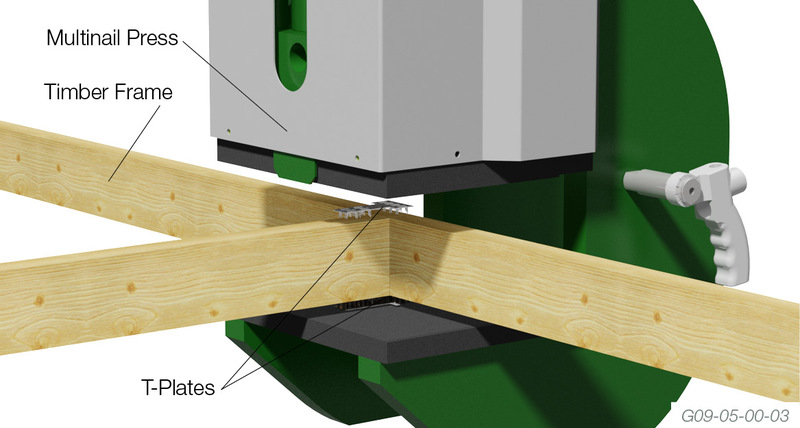 Can be fixed to one side only - avoiding the necessity of a fixing underneath the bottom of the wall frame. .
A single Multinail T-Plate is usually positioned on both sides of the frame and then mechanically pressed with a Multinail Press. 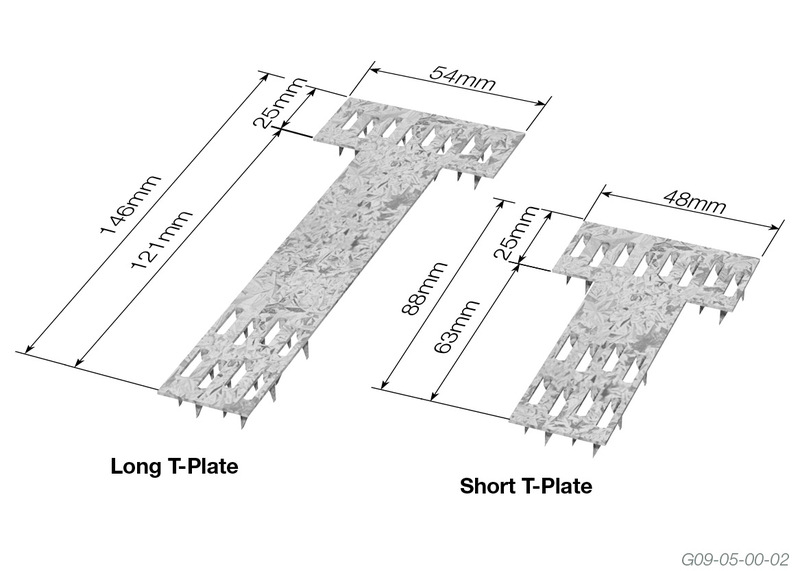 The Multinail T-Plate is factory pressed to produce a positive, lasting connection. 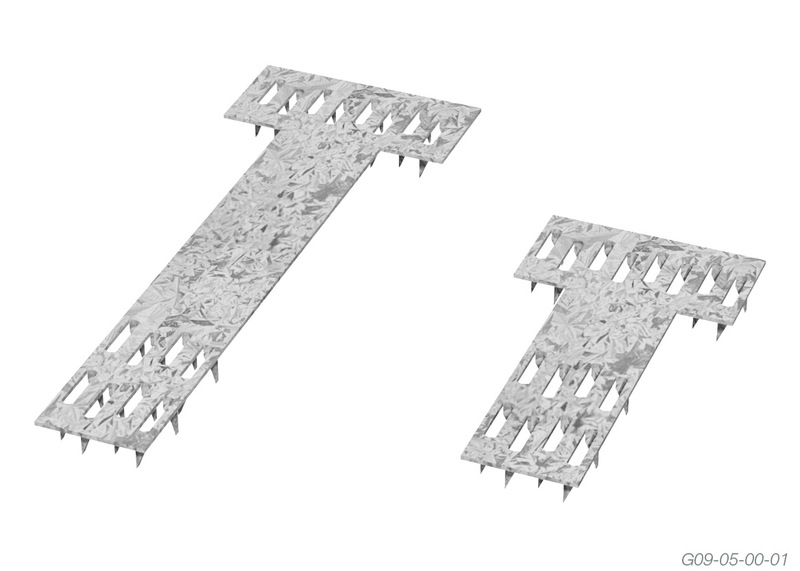 A single Multinail T-Plate can also be hammered into both sides of the frame, allowing flexibility on-site. 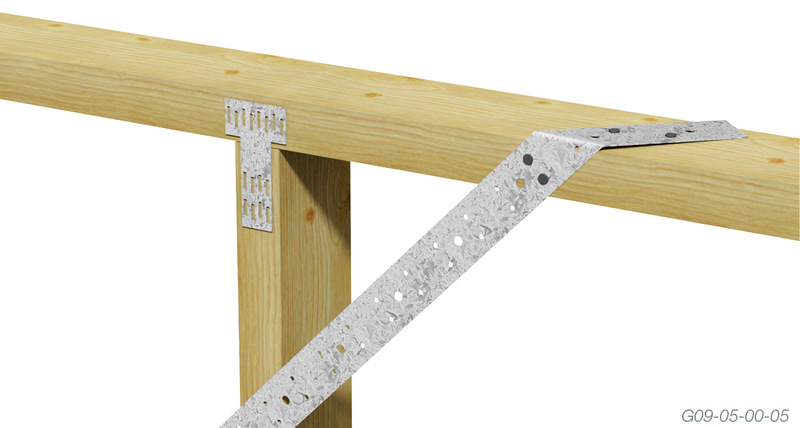 T-Plates may be fixed to one side only, replacing the 30 x 0.8mm metal strap at corners of bracing panels (AS1684, Tables 8.18 c+d). 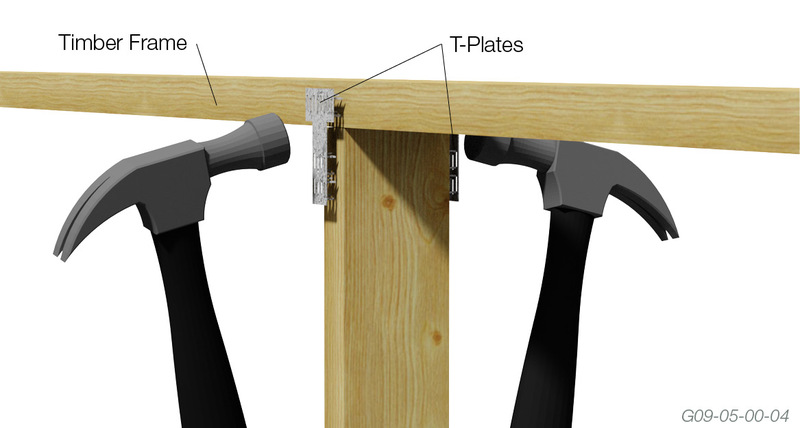 For tie down and bracing walls using angle brace, the T-Plate must be placed on the same side of the wall as the framing anchor, strap, etc.